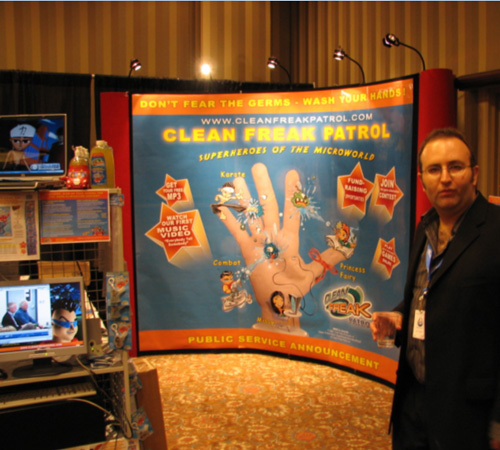 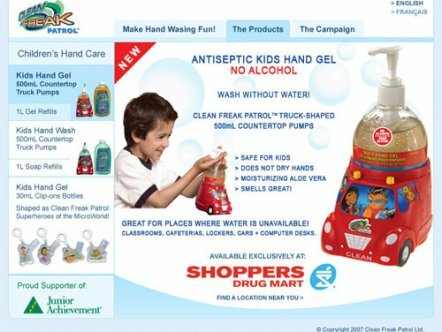 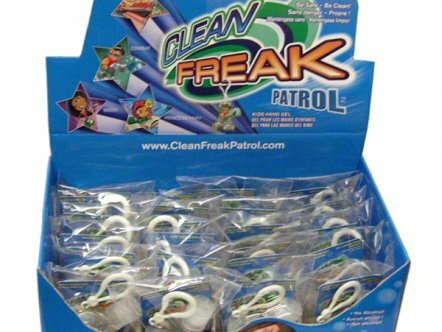 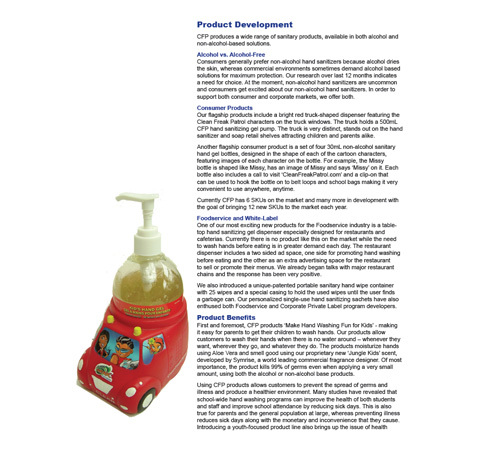 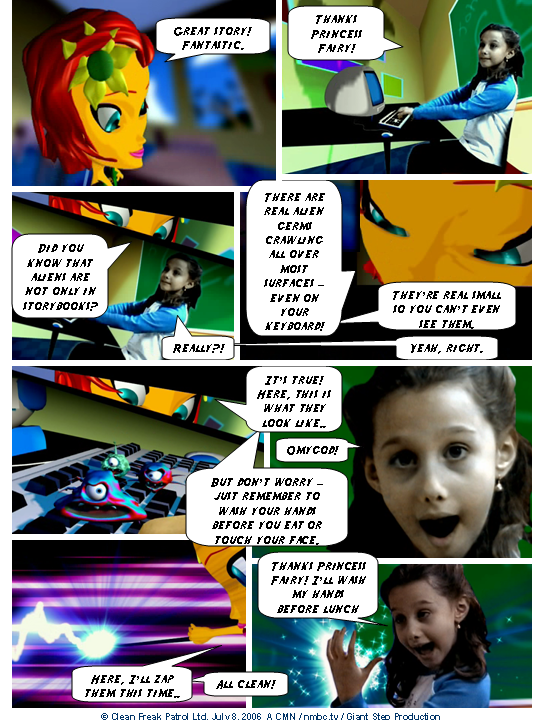 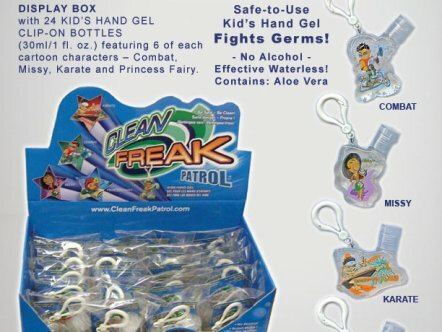 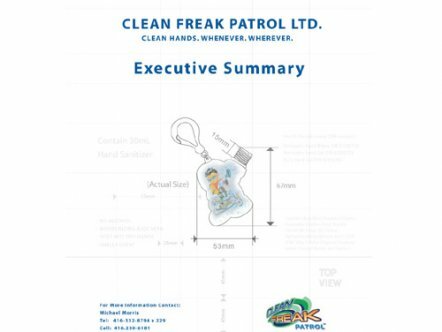 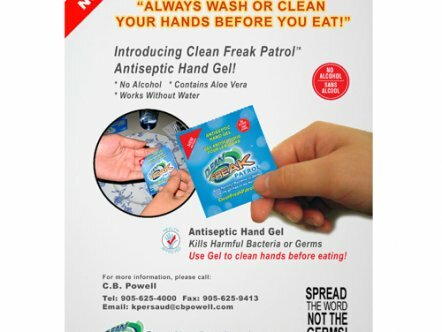 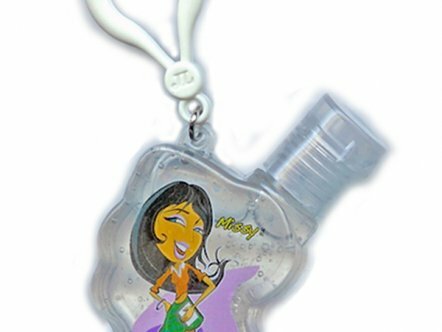 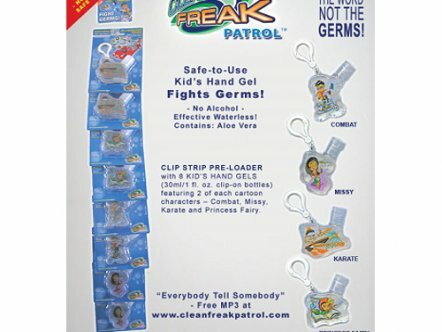 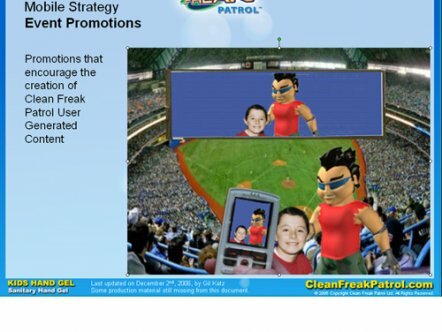 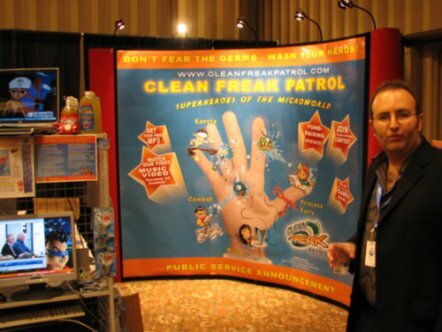 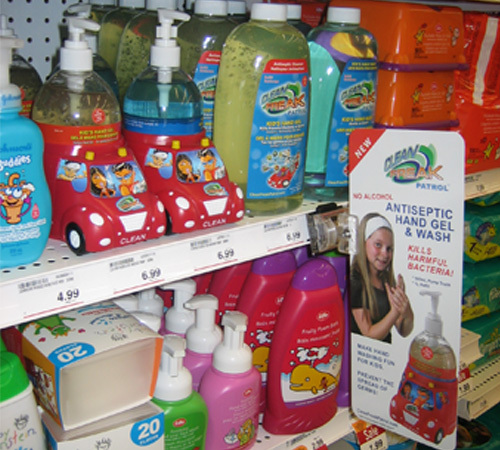 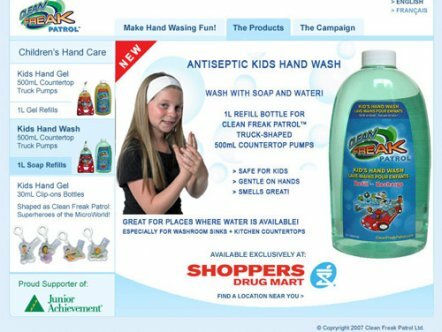 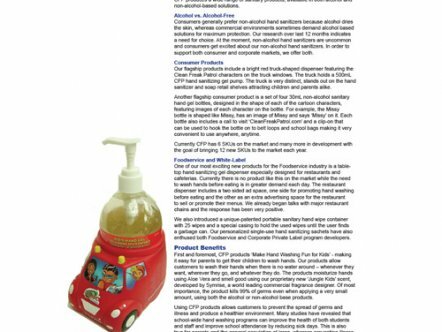 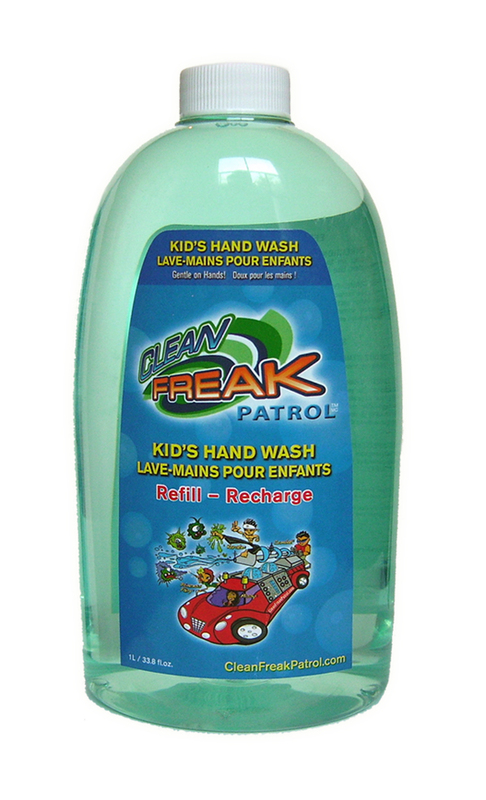 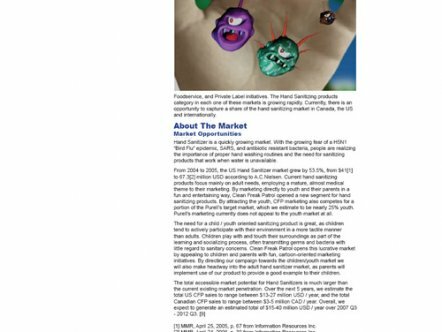 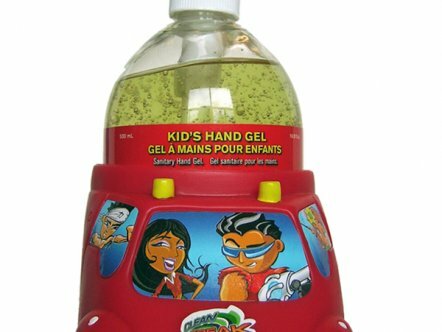 "..Barbie and GI Joe style electronic playground"
Clean Freak Patrol is a manufacturer of consumer hygiene products for children, including hand sanitizing gel, soap and wipes. 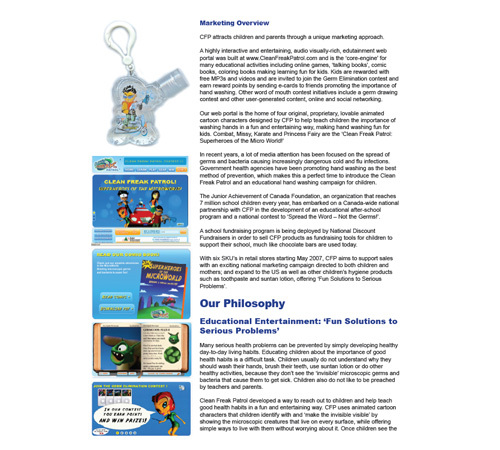 Working with the Creative Marketing Network, Giant Step developed and implemented an overall marketing strategy for the company, which helped secure over $2.5M in venture capital for the company. 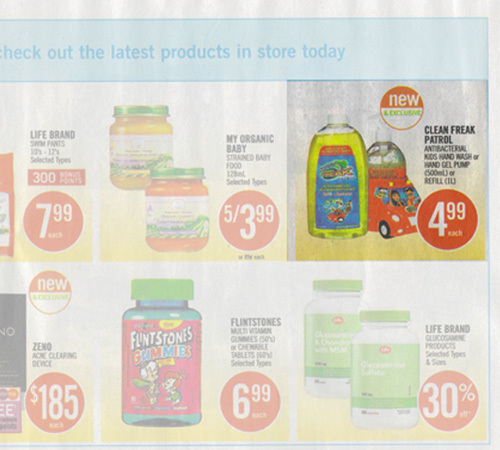 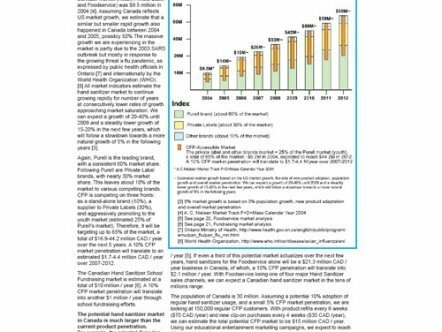 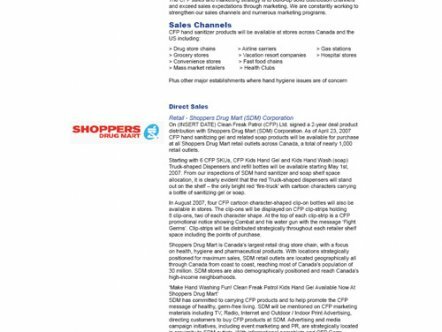 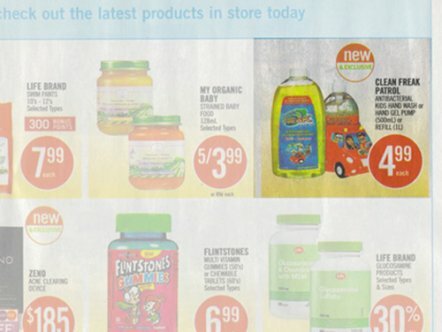 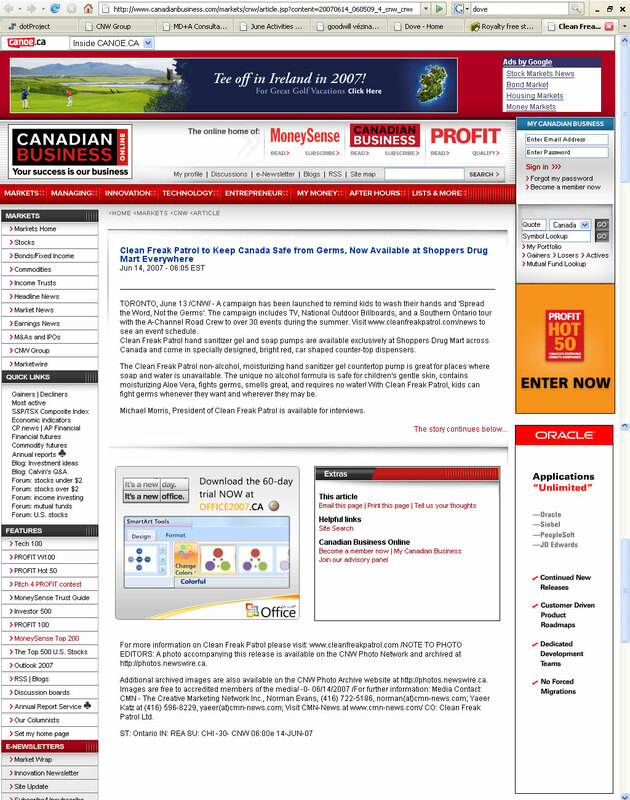 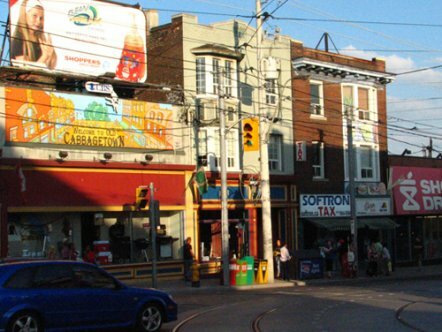 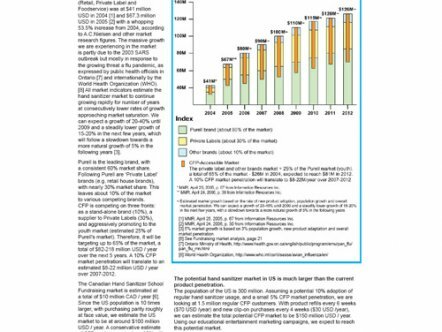 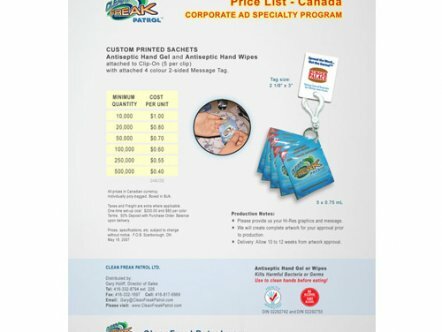 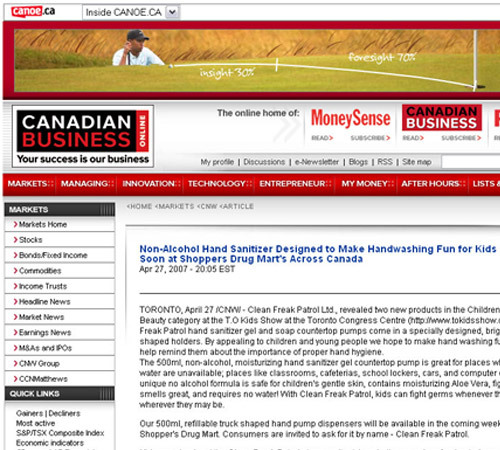 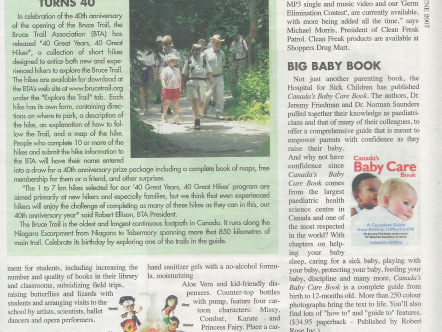 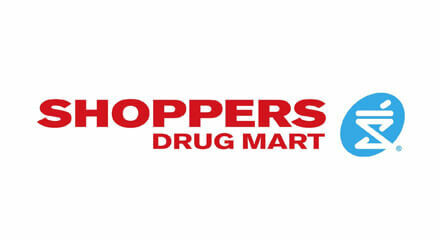 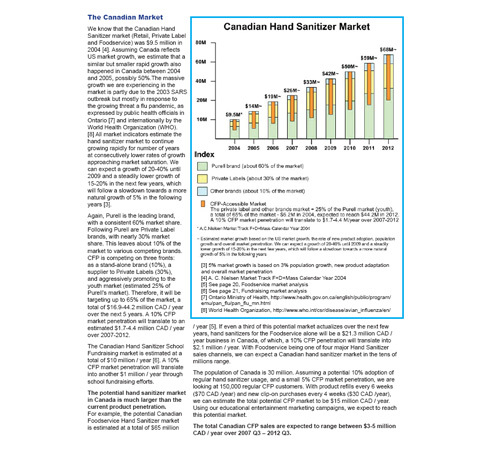 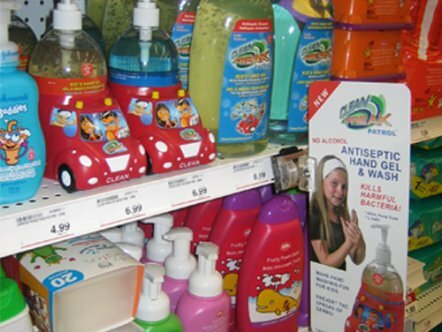 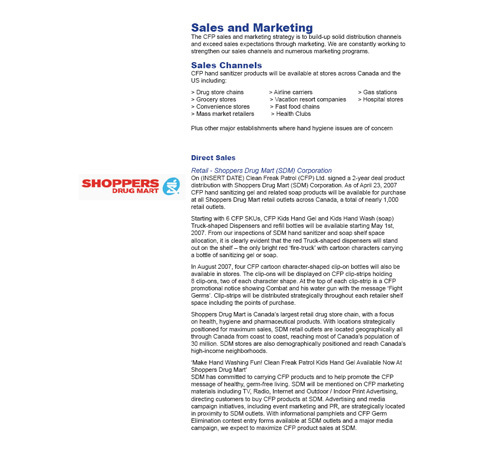 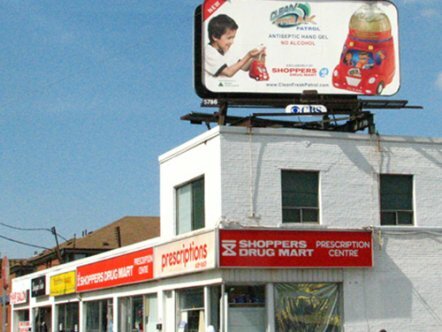 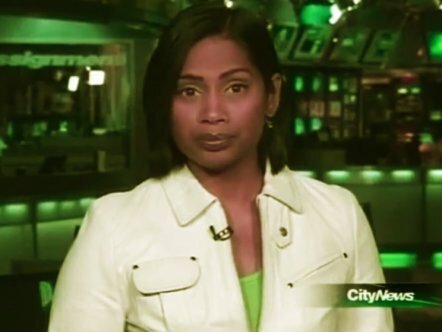 Extensive prototyping of virtually every aspect of the marketing plan supported the sales effort, impressed distributors and led to a national distribution deal with Shoppers Drug Mart - the largest drug store retailer in Canada, with over 1,000 locations. 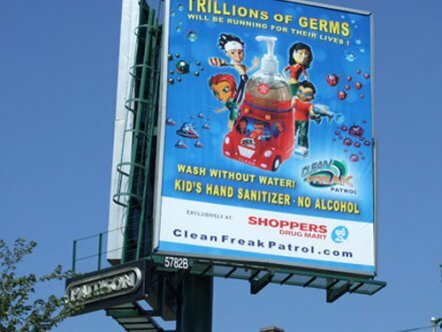 A national advertising campaign is underway, including outdoor billboards, television ads, talk-show giveaways, event sampling teams, viral web marketing and more. 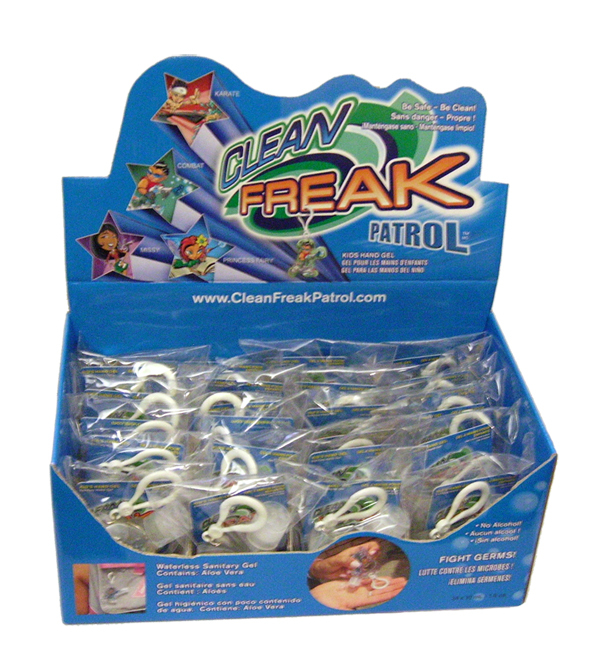 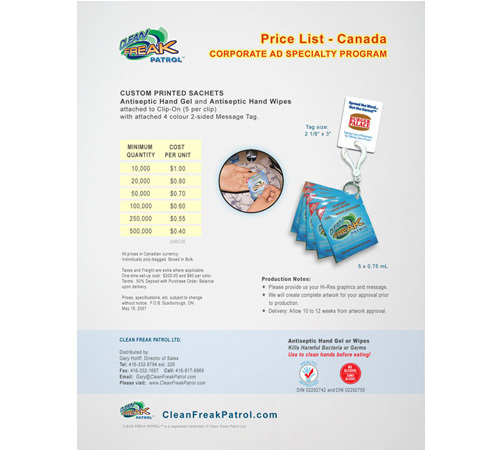 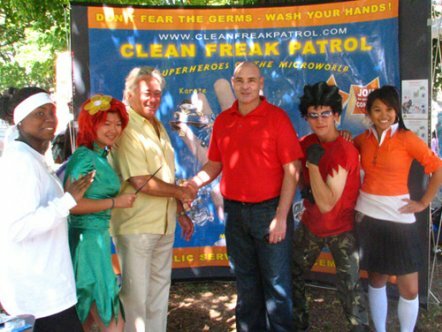 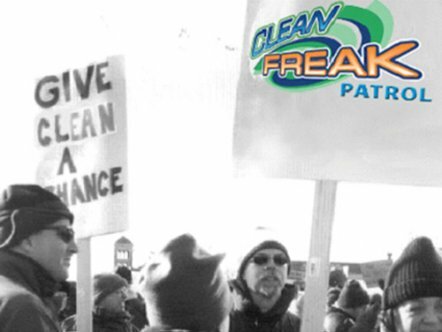 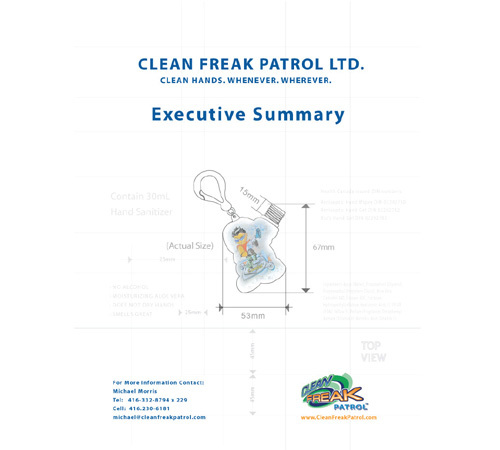 Giant Step produces both the trade and consumer marketing for Clean Freak Patrol. 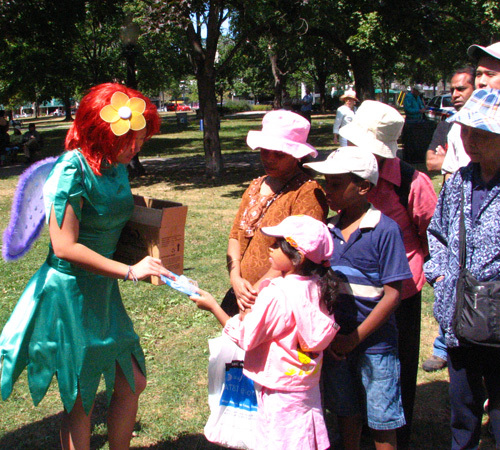 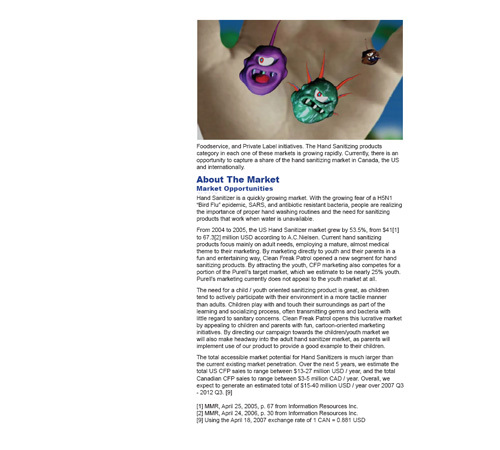 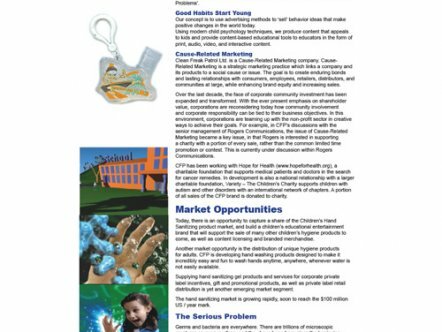 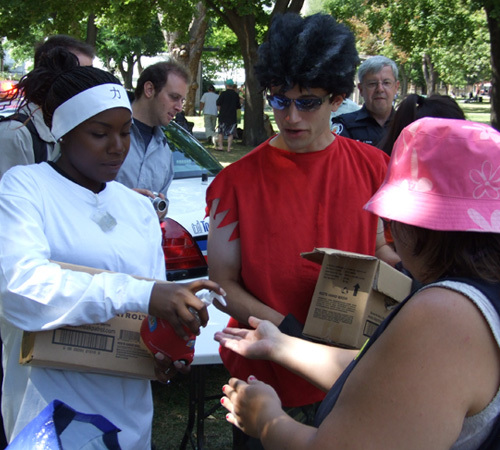 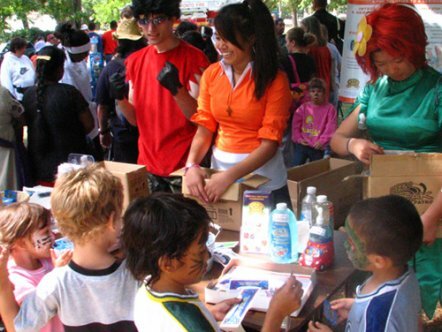 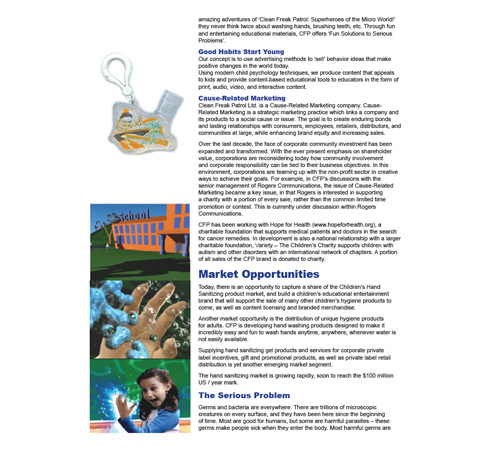 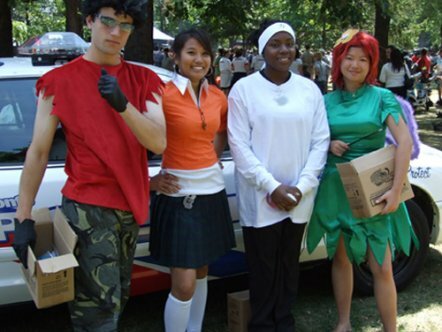 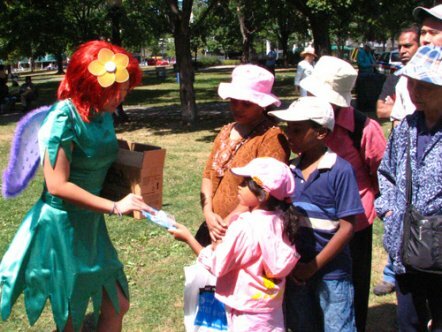 Trade materials include sales kit and trade show booth development, as well as writing sales presentations. 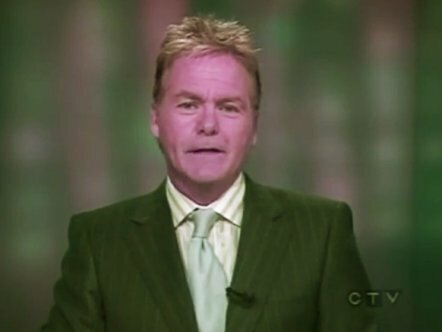 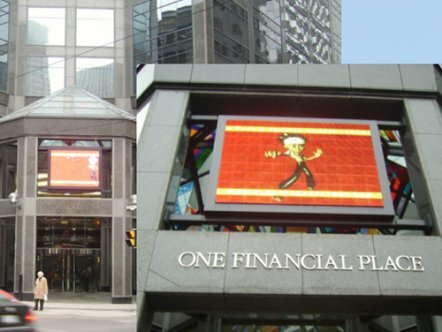 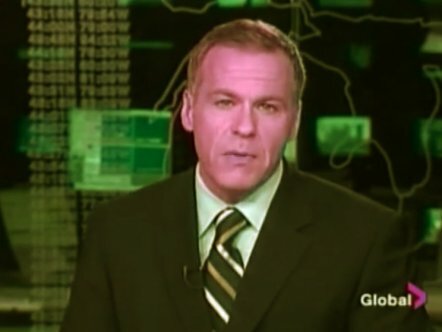 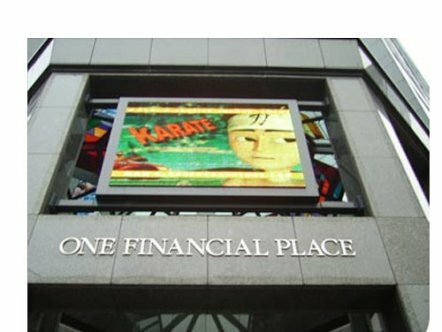 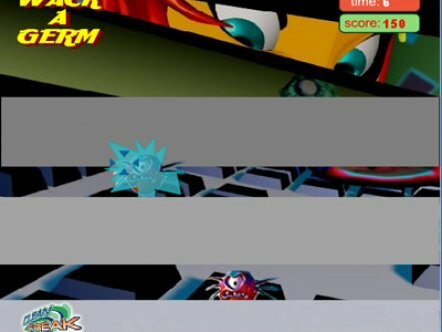 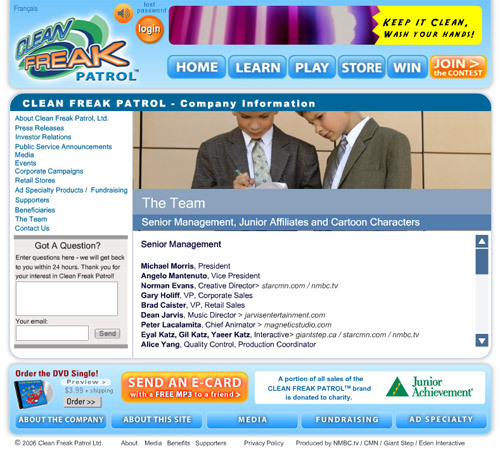 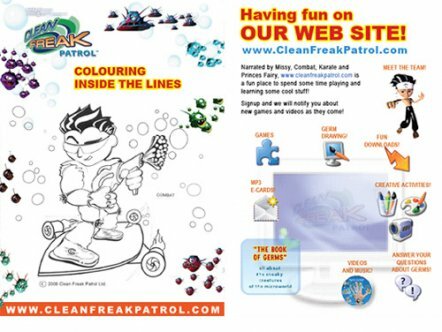 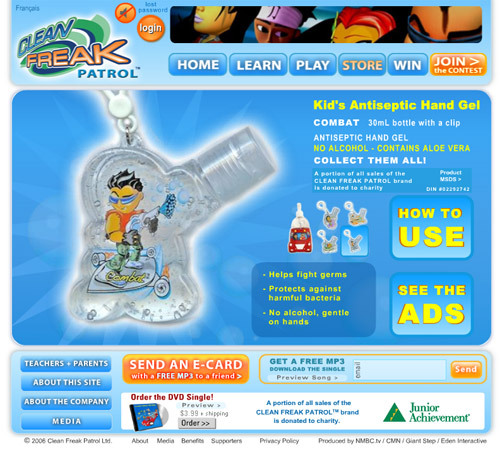 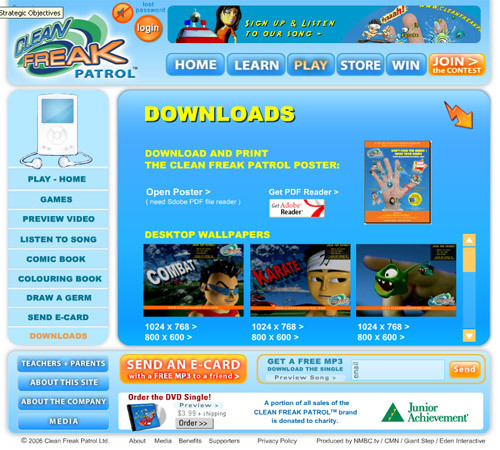 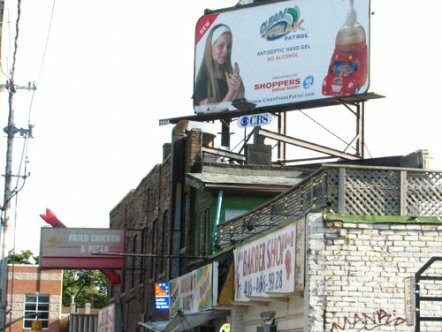 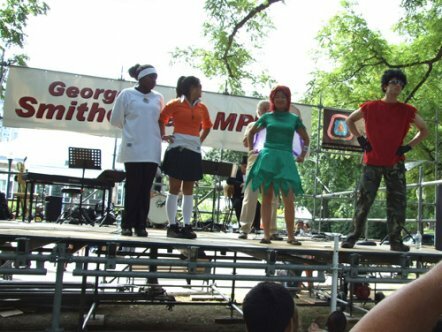 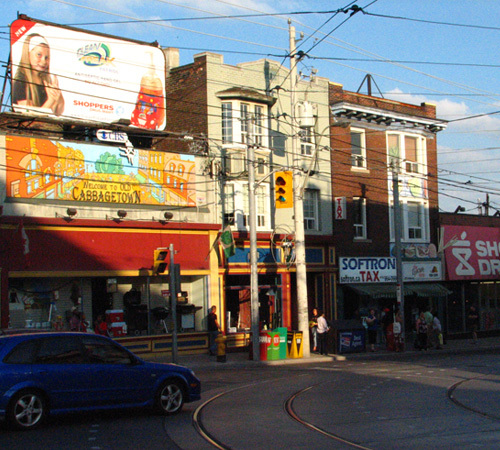 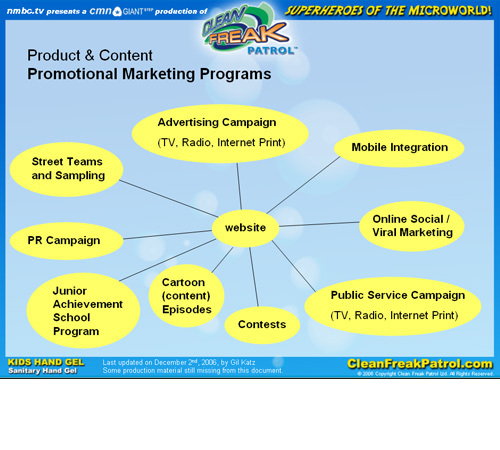 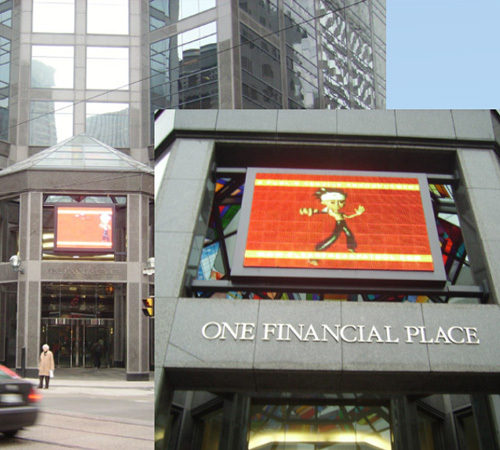 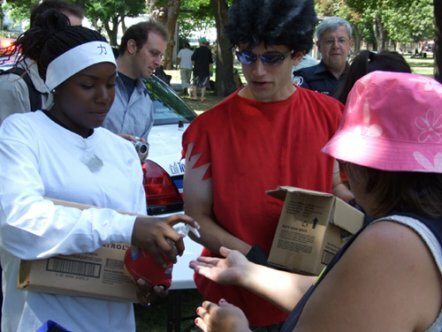 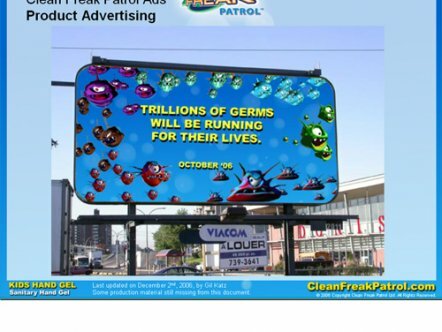 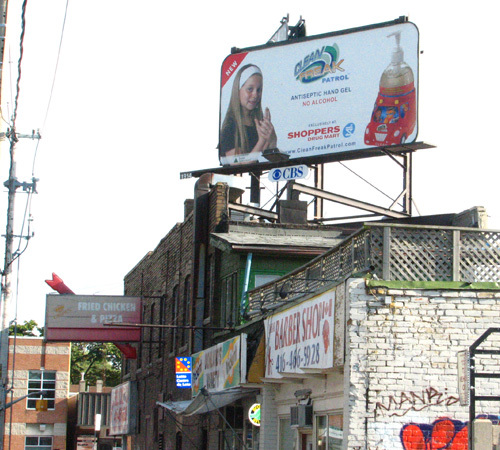 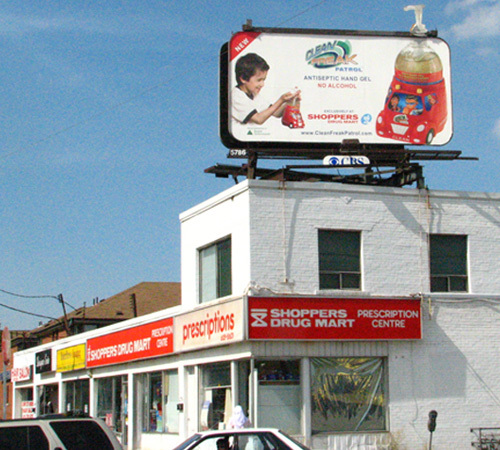 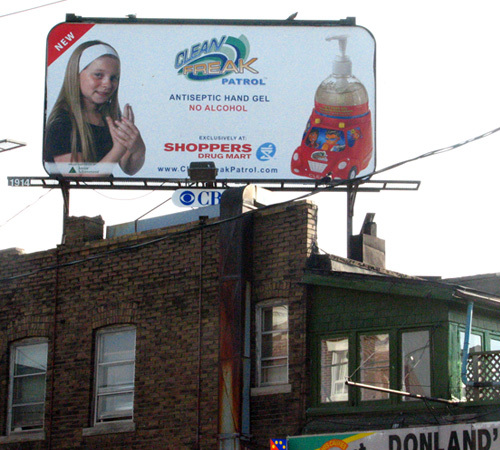 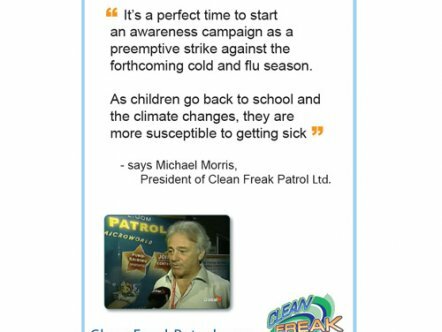 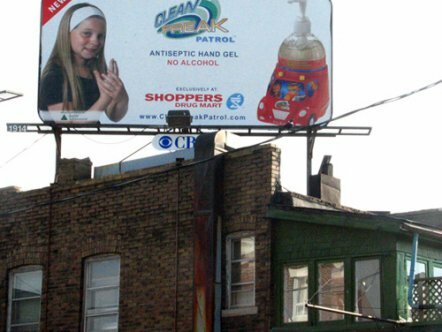 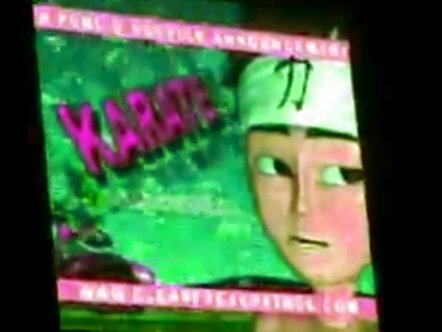 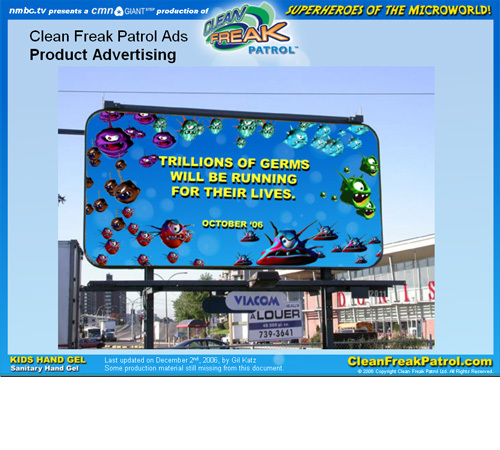 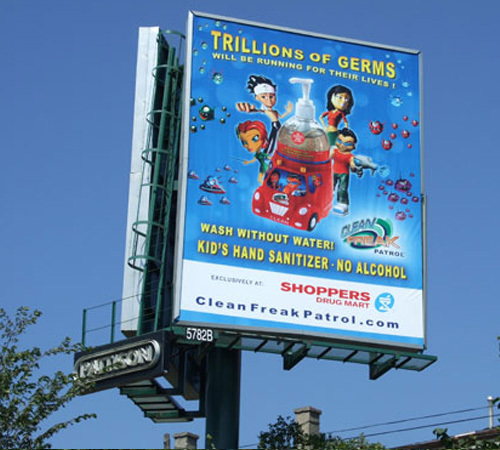 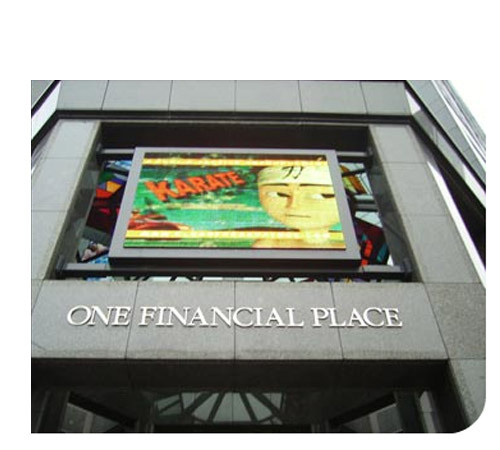 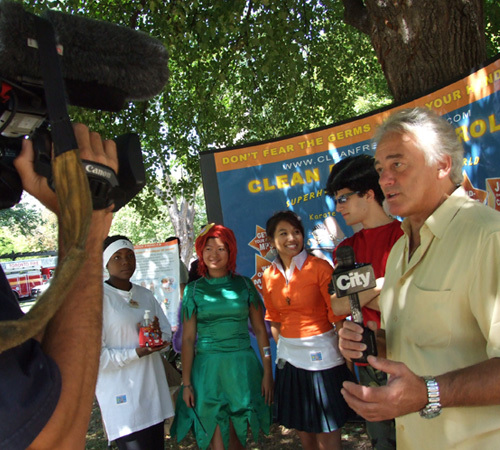 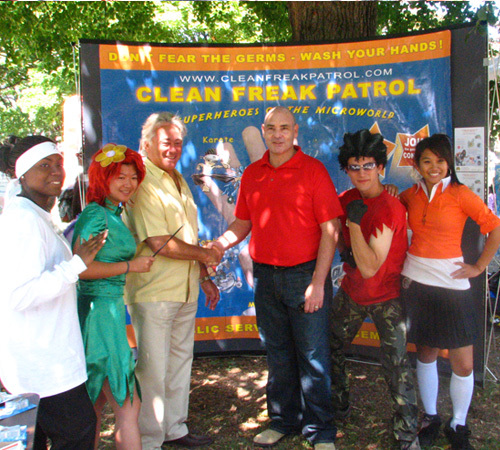 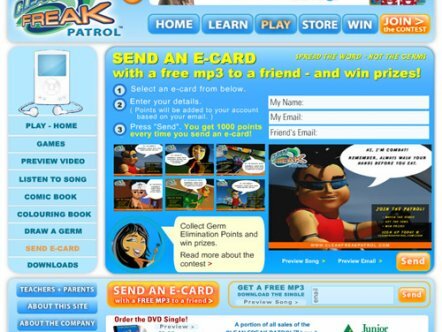 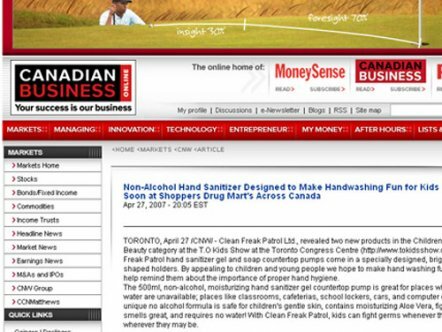 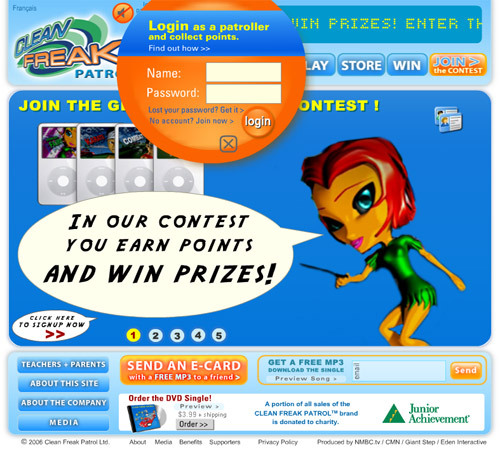 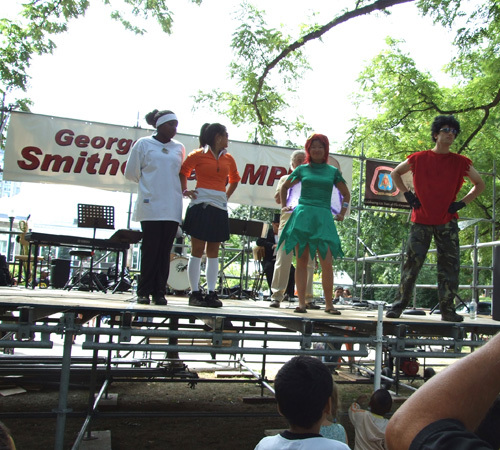 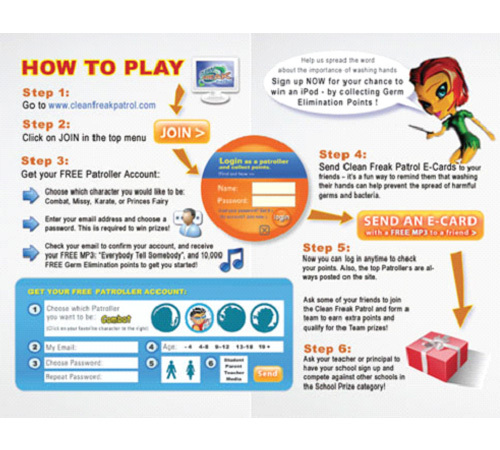 In marketing to consumers, Giant Step produced a highly interactive website at www.CleanFreakPatrol.com as well as Television, radio, Internet and print ads, including outdoor billboards. 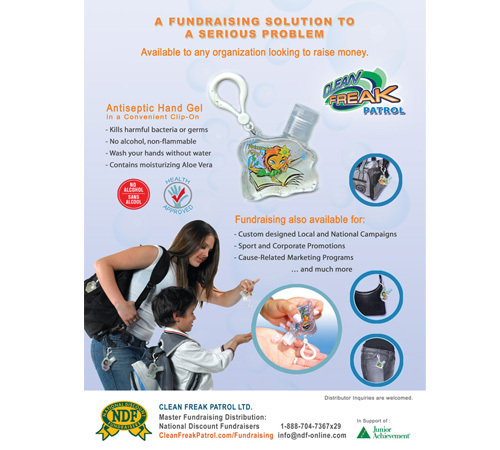 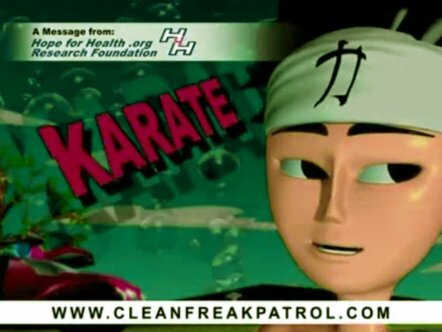 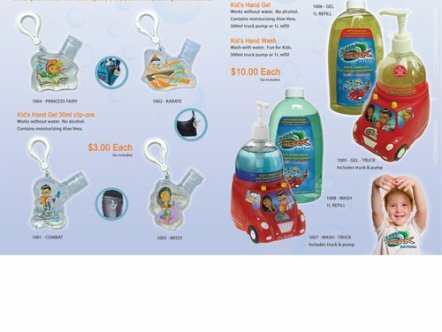 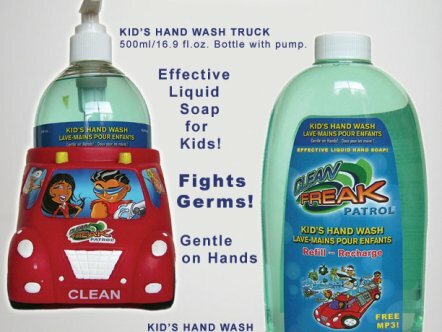 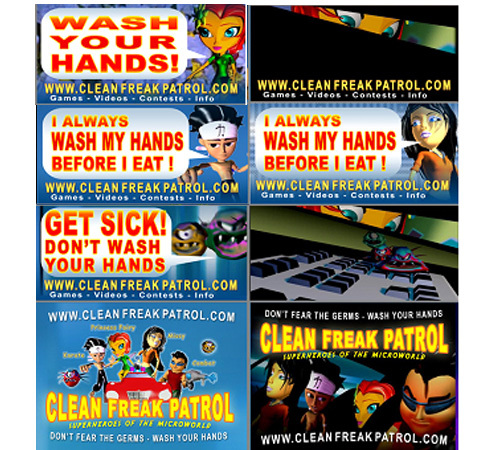 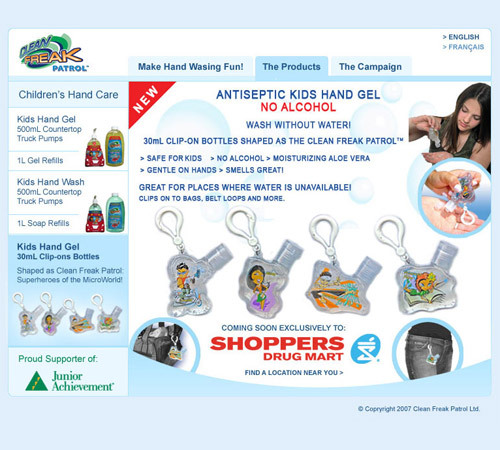 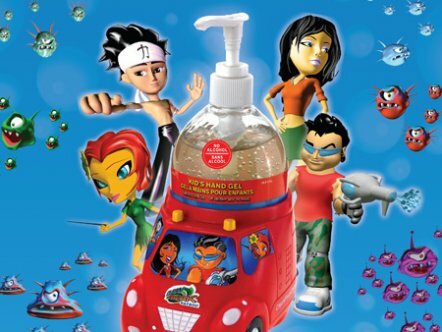 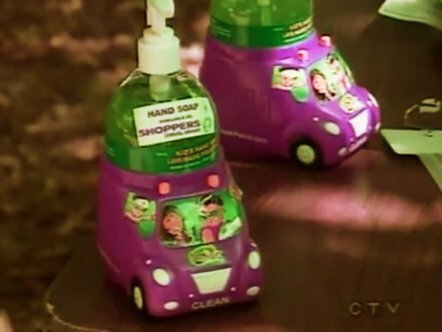 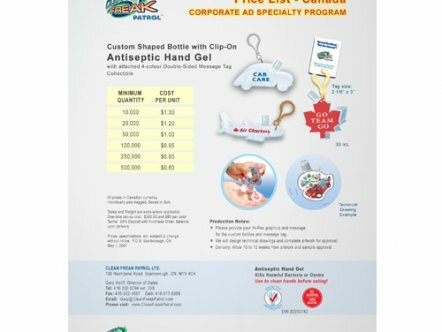 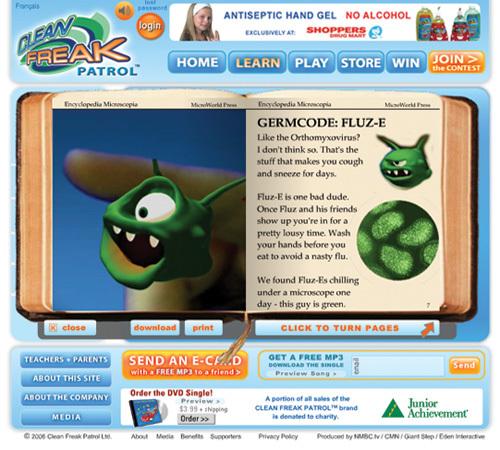 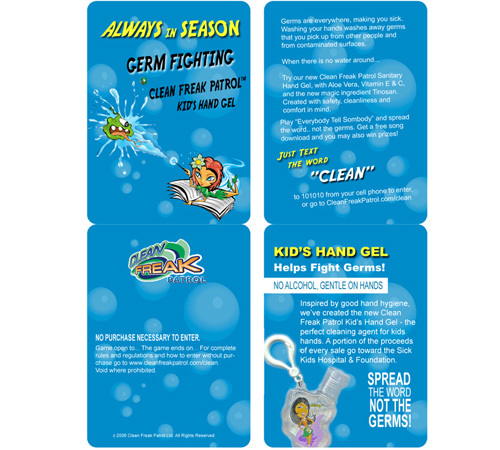 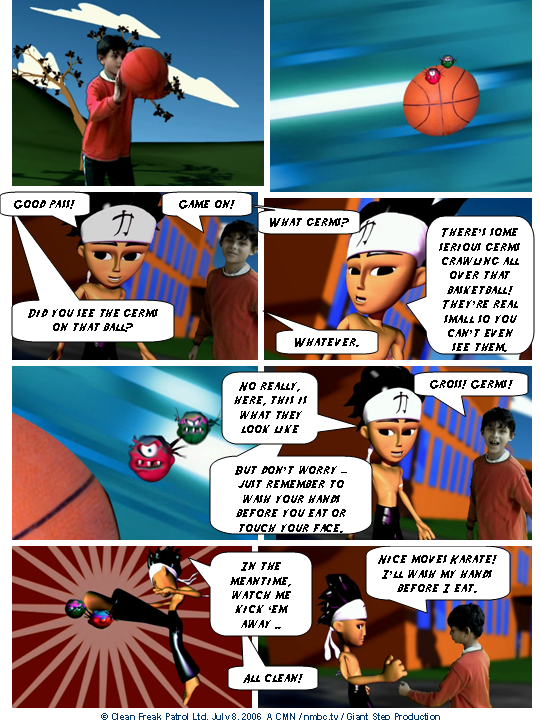 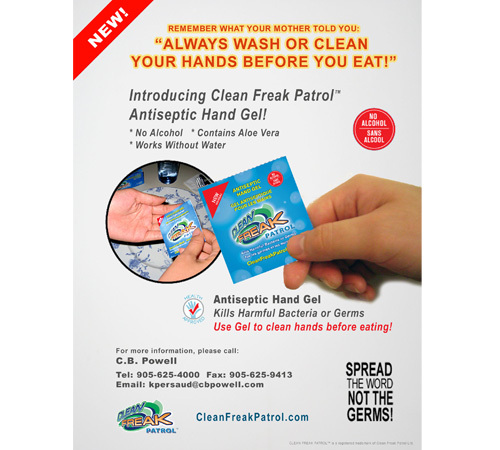 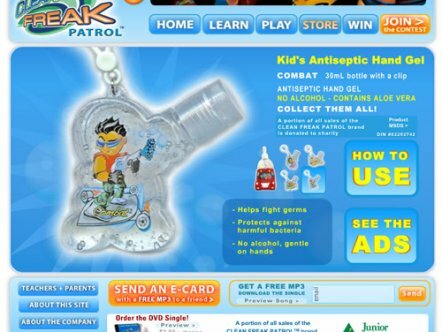 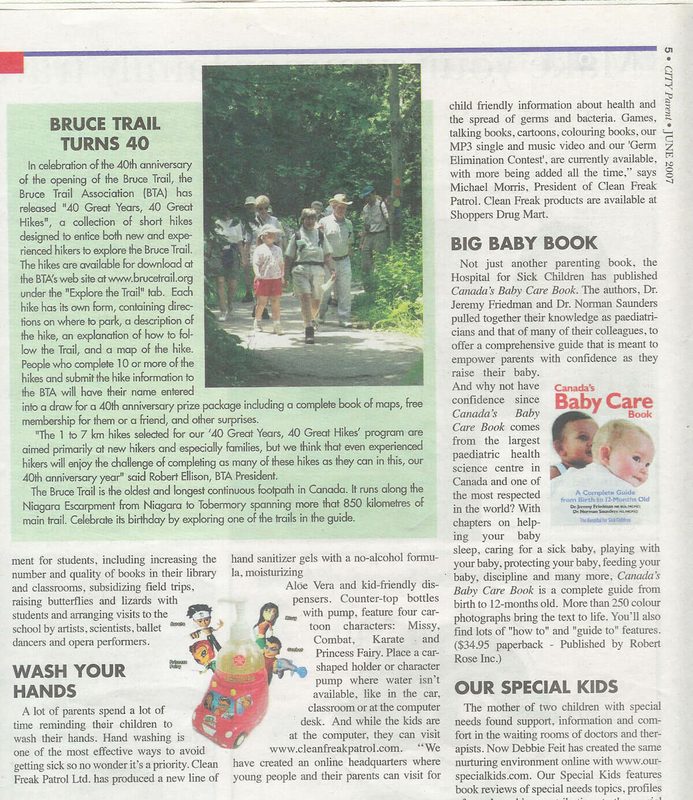 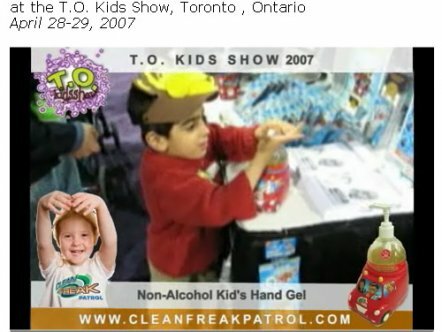 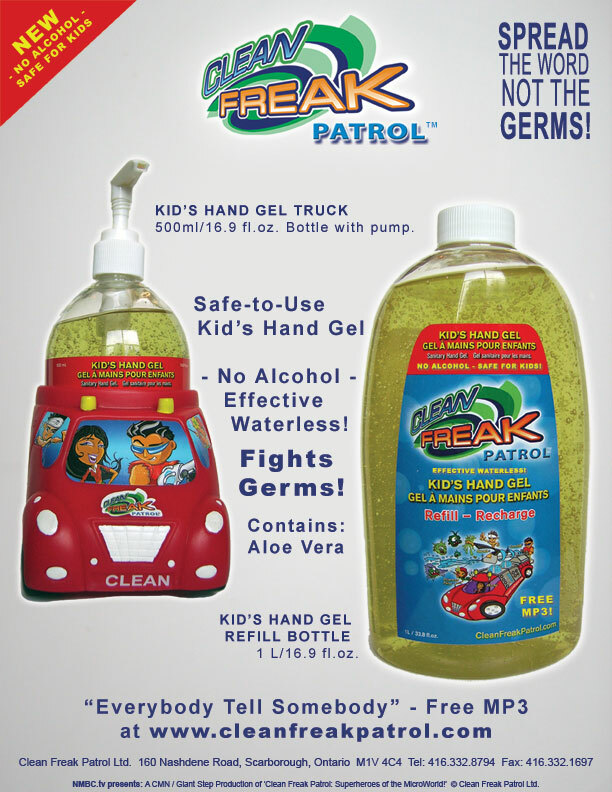 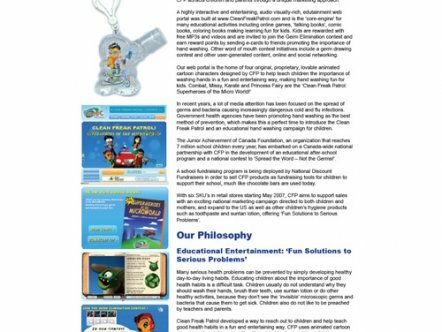 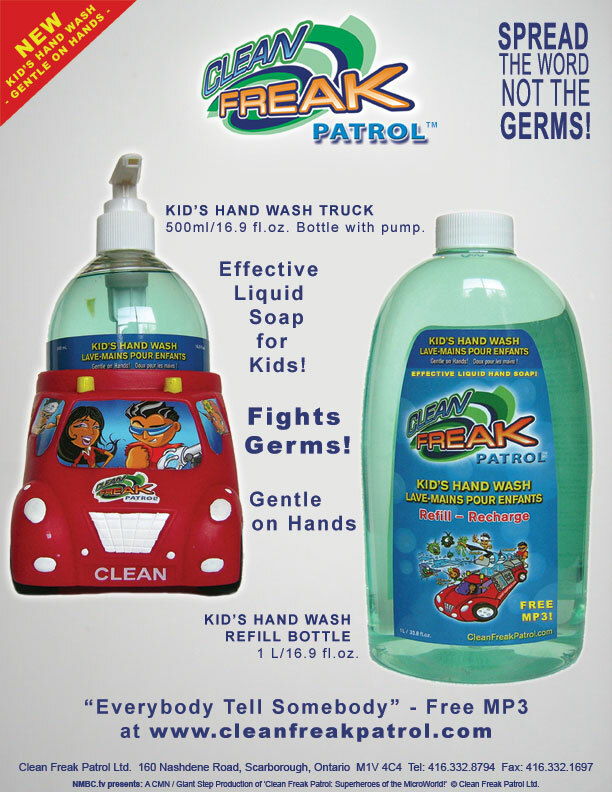 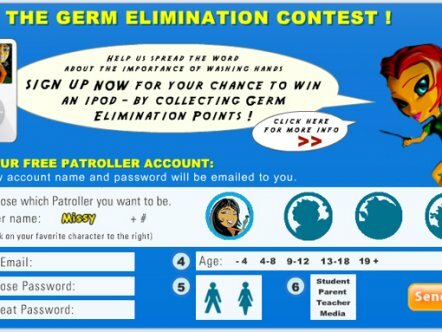 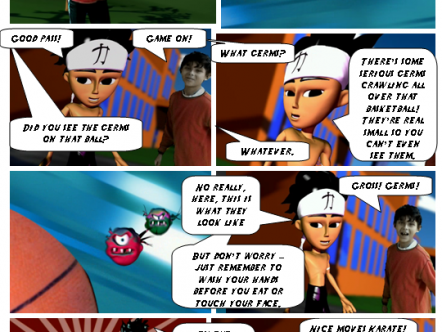 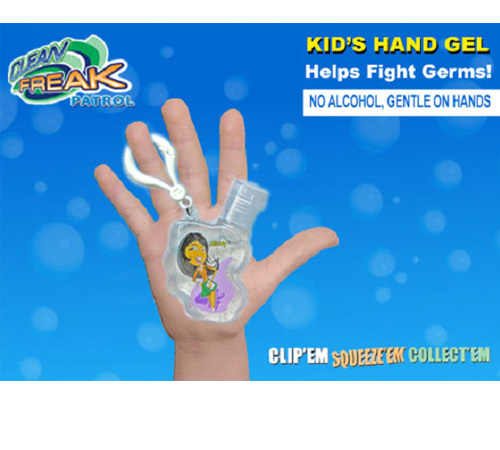 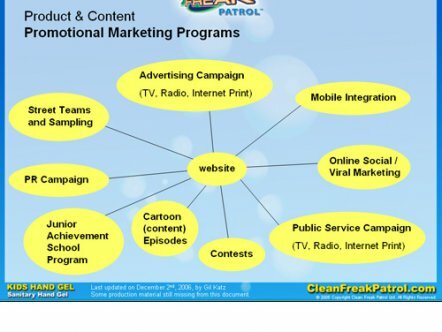 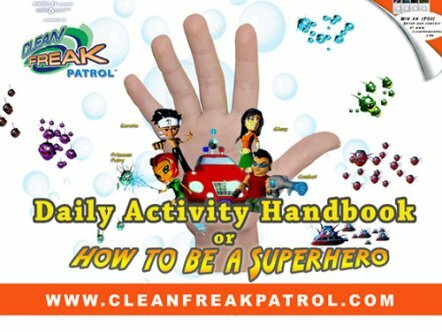 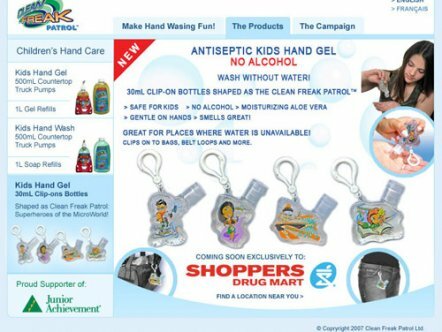 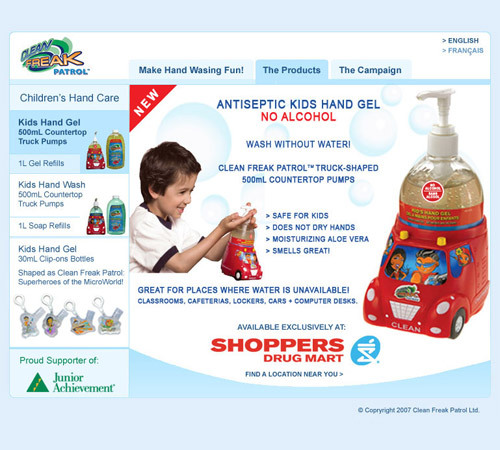 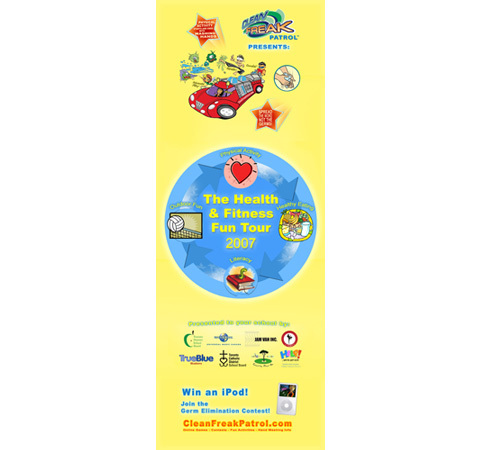 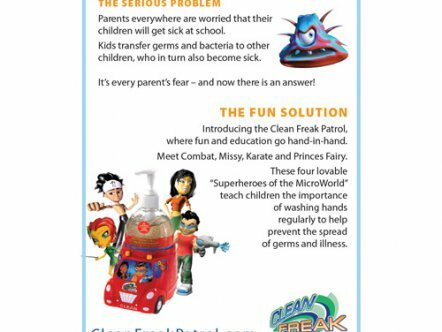 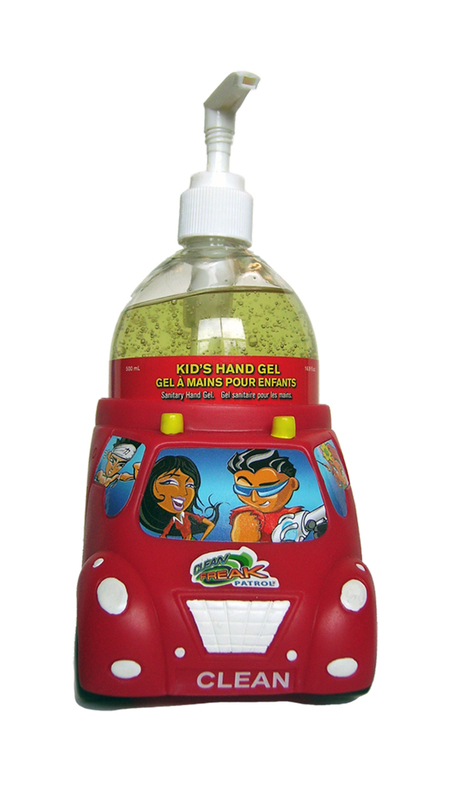 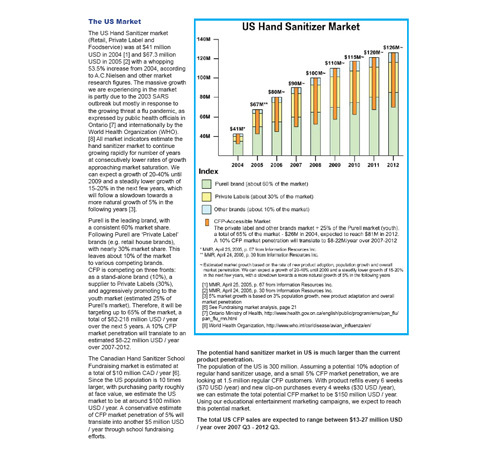 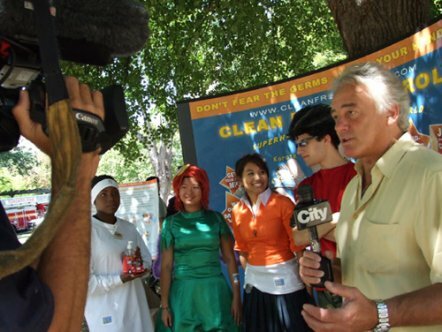 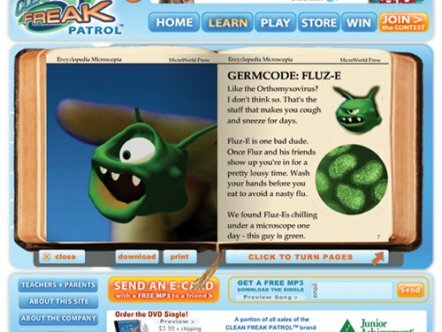 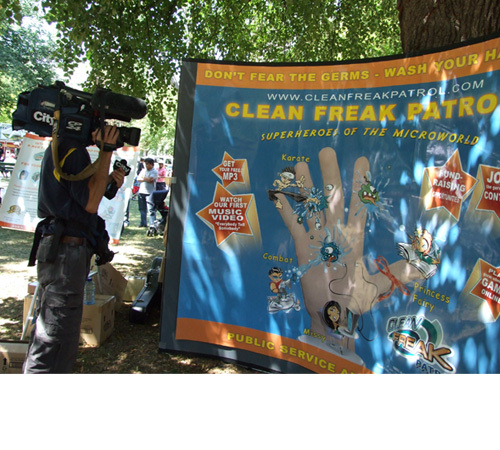 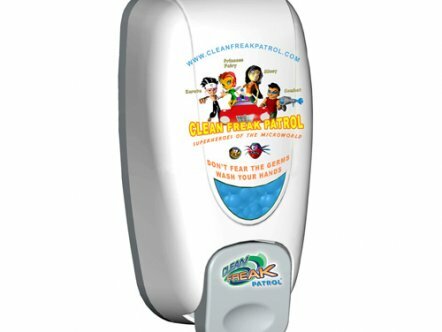 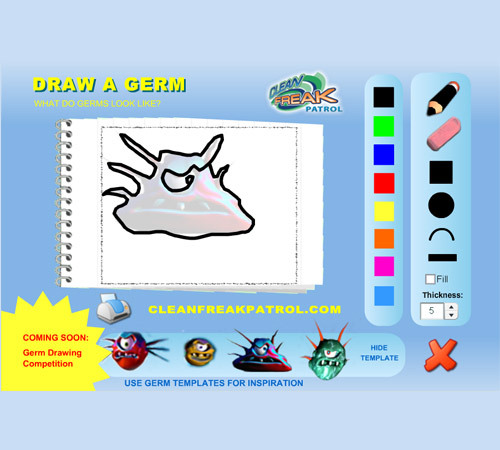 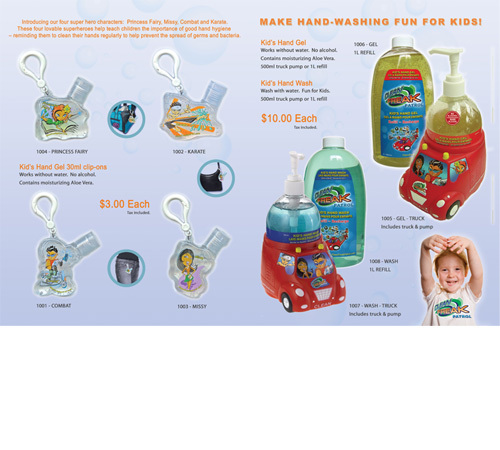 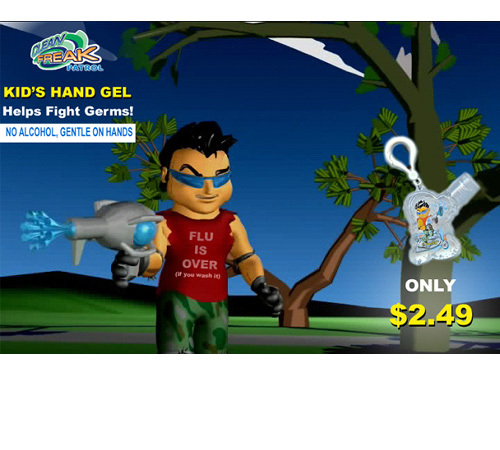 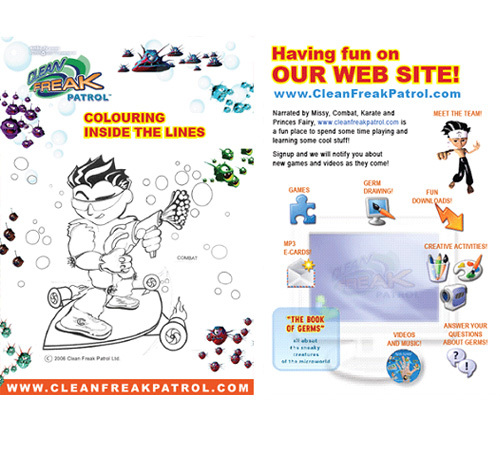 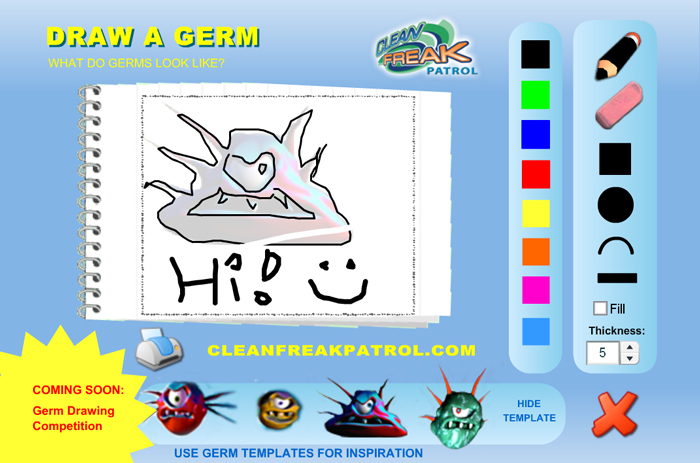 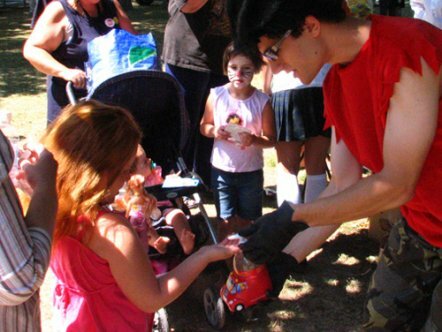 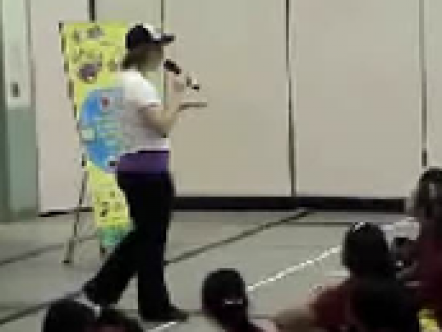 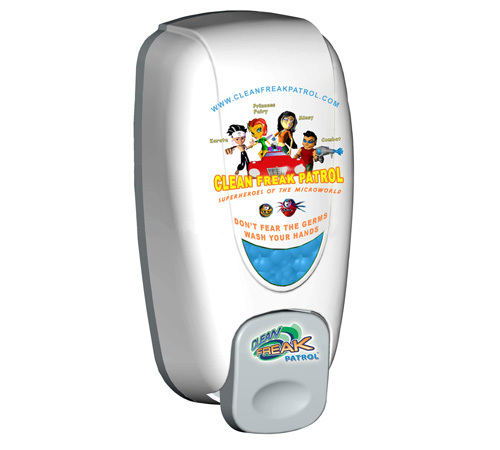 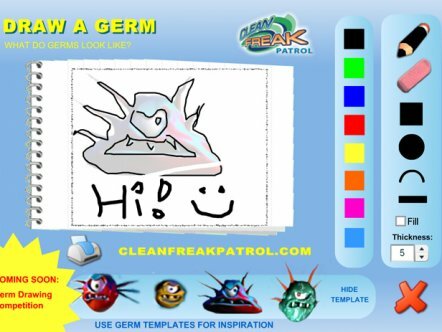 Clean Freak Patrol uses branded educational entertainment content to make hand washing fun for kids. 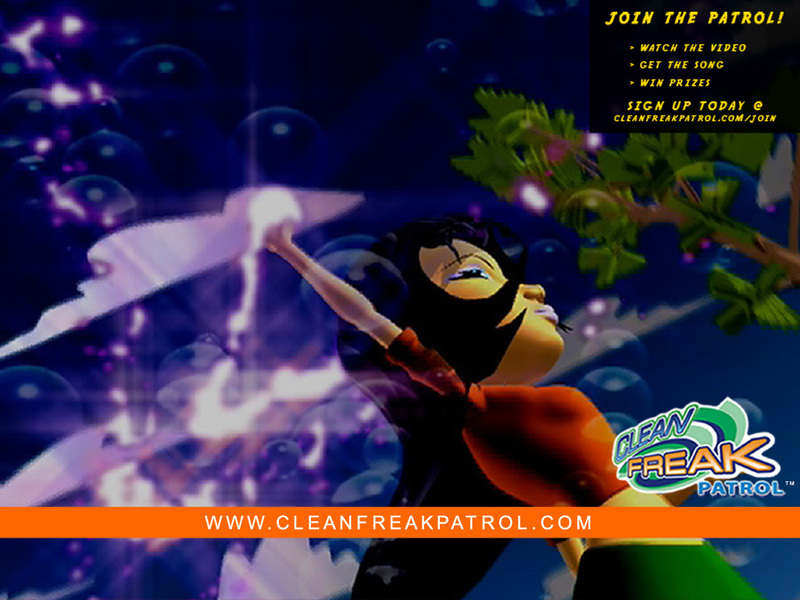 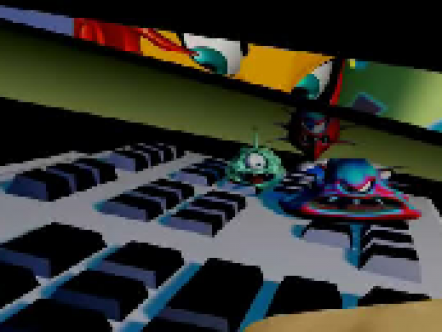 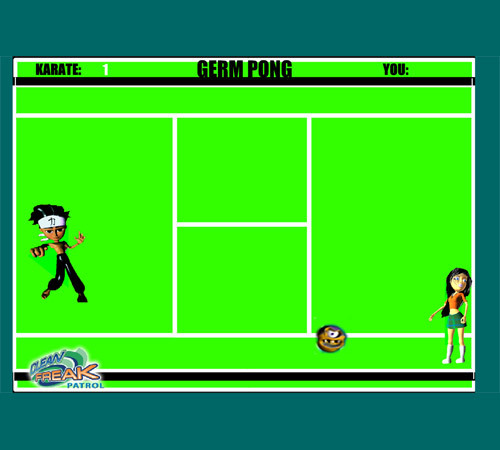 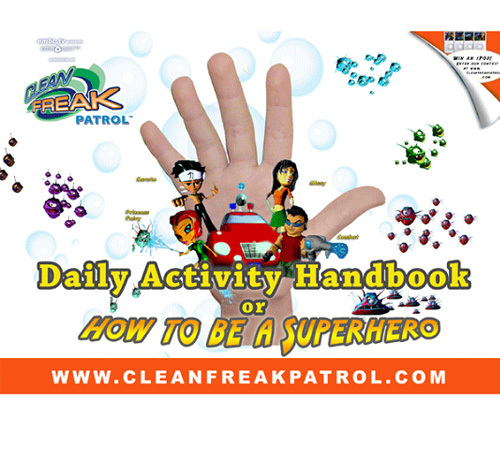 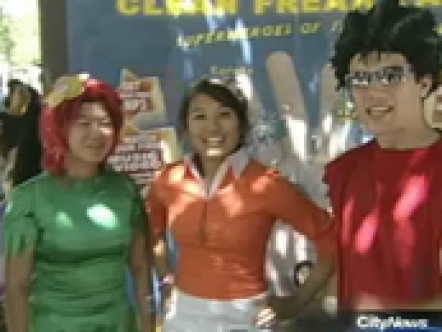 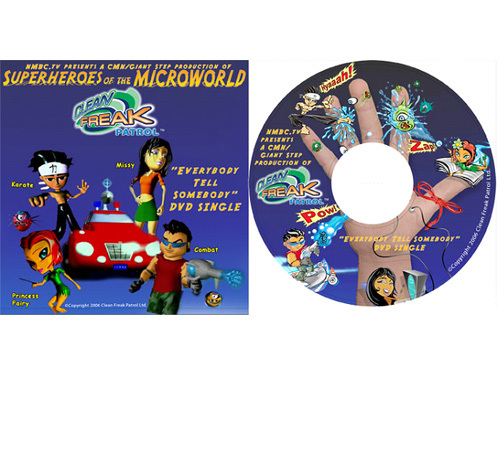 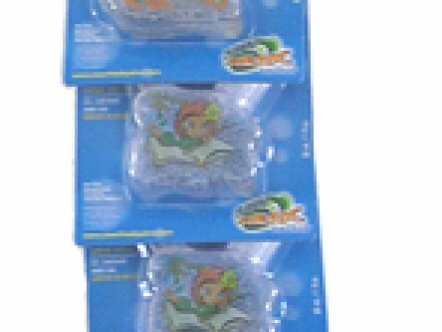 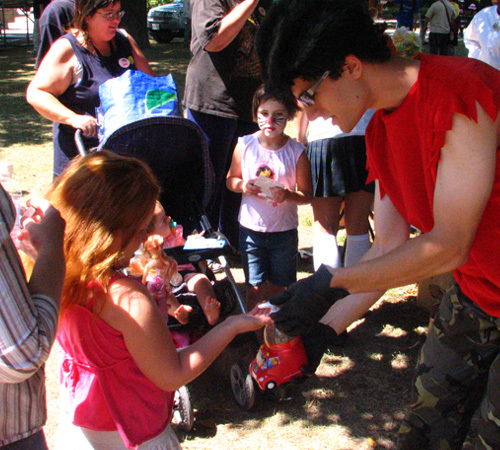 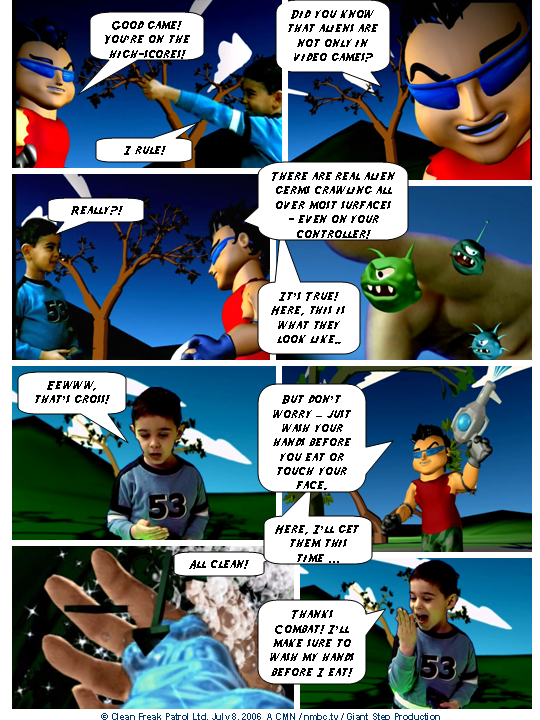 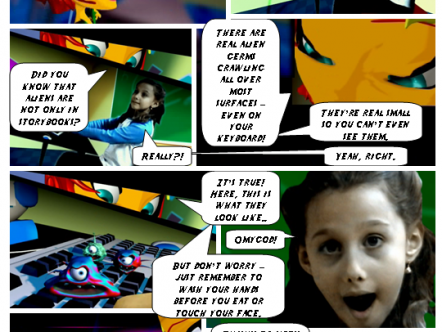 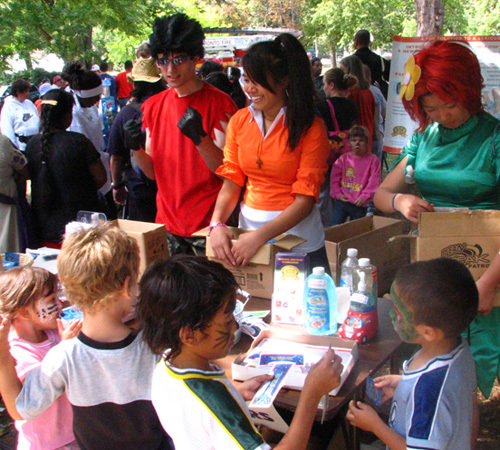 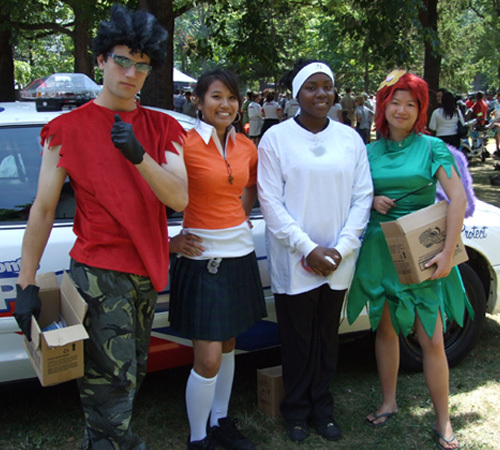 Four animated cartoon characters make up 'Clean Freak Patrol: Superheroes of the Micro World!'. 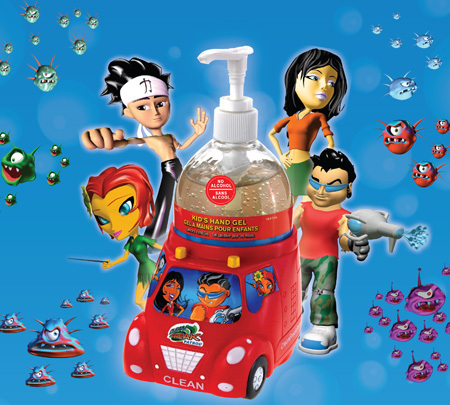 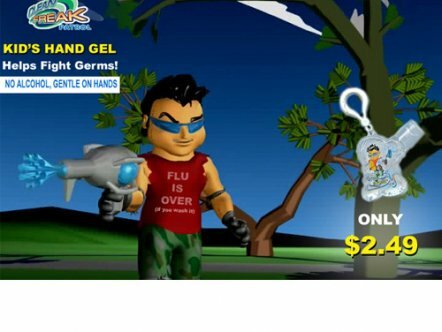 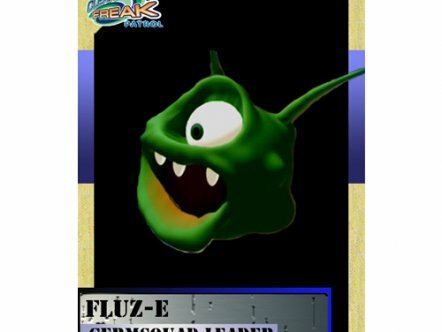 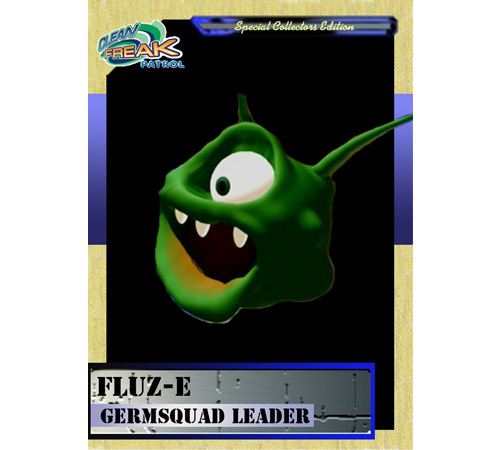 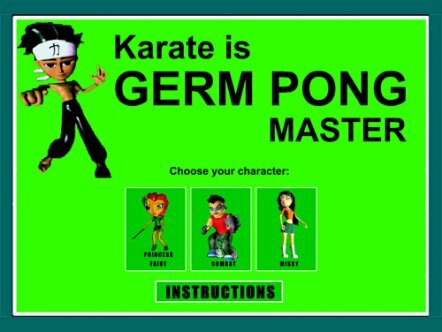 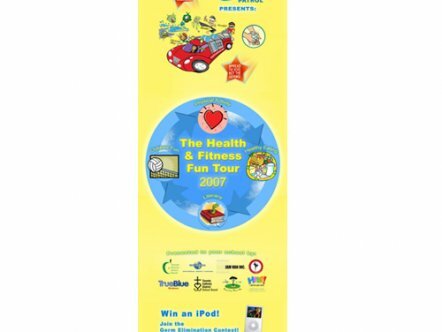 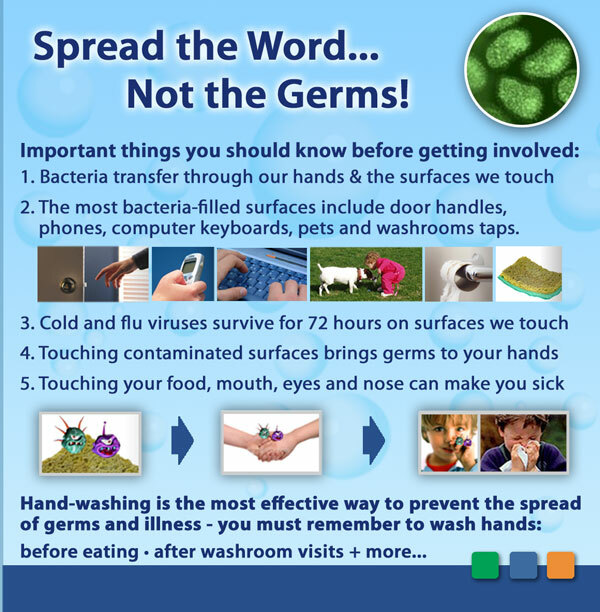 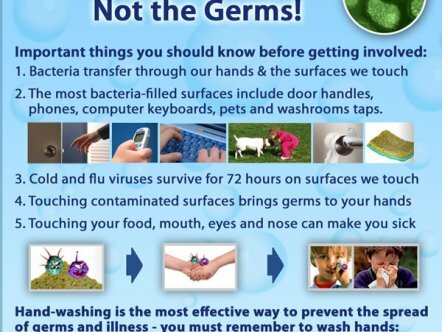 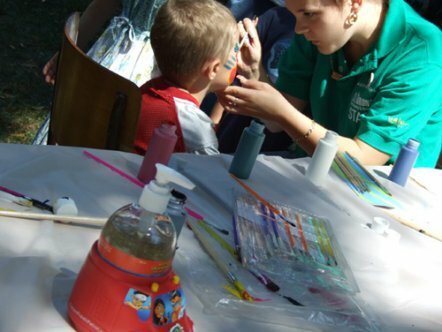 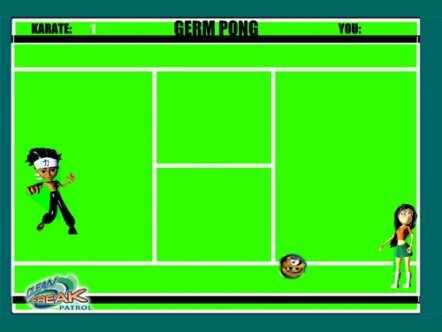 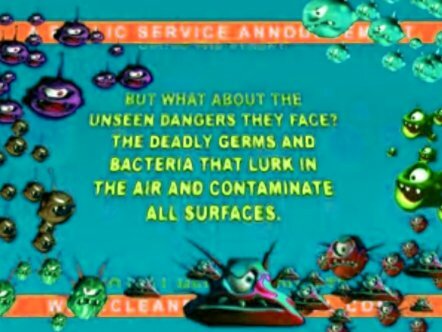 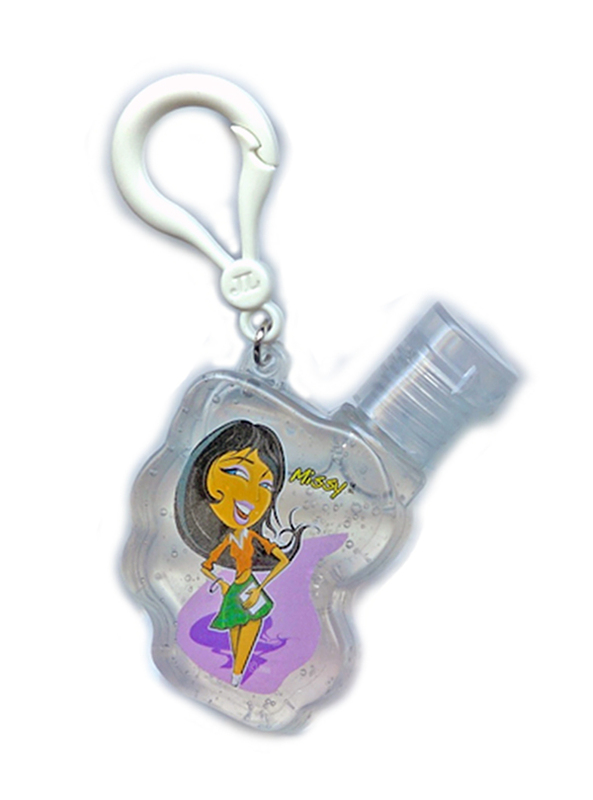 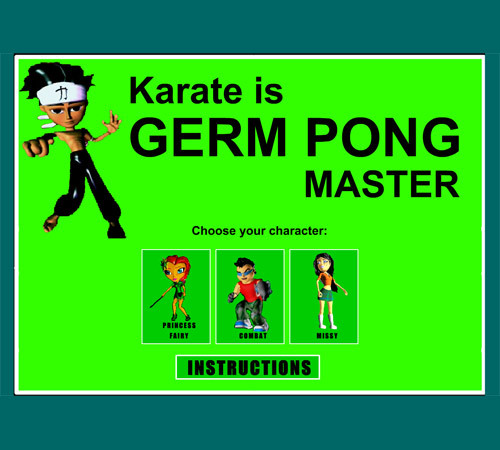 The characters reveal the microscopic, virtually-invisible world of germs and bacteria to children, and equate washing hands to fighting germs through videos, games and activities, thus helping develop healthy habits that prevent the spread of germs and illness.